Based outside Boston, Jennifer Markowitz received her M.D. from the University of Pennsylvania and completed residency training at the Children's Hospitals of Philadelphia and Boston. She is board-certified in Pediatric Neurology and Neuromuscular Medicine. Her writing and presentations have focused on both scientific and patient audiences. The Central Brain Tumor Registry estimates that 68,470 people will be newly diagnosed with a brain tumor in the United States in 2015. 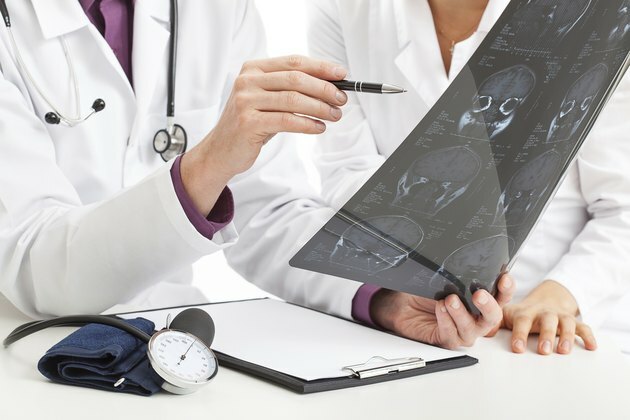 There are many types of brain tumors, which arise from cells in the brain or surrounding tissues. Some grow in the cerebrum -- the largest part of the brain. The cerebrum has 4 sections called lobes, each of which has different functions. Tumors of the frontal lobe can cause headaches, seizures, changes in thinking, mood and personality, impaired speech and weakness. Though most people with headaches do not have brain tumors, headache is an initial symptom in about 20 percent of people with tumors, and up to 60 percent will develop headaches, according to "Neurology in Clinical Practice." The brain itself cannot feel pain. A frontal lobe tumor causes pain by irritating pain-sensitive blood vessels and tissues surrounding the brain. It can also cause pain by producing increased pressure within the head. 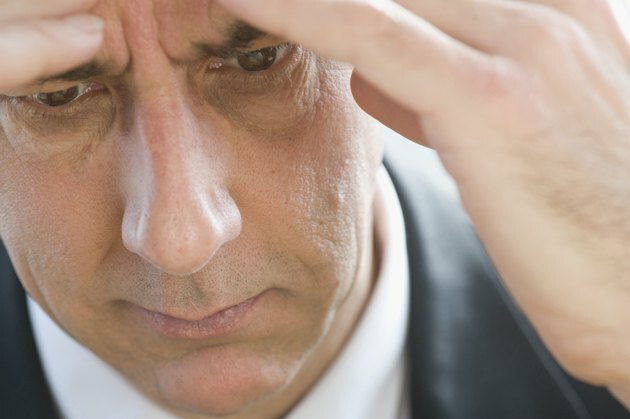 Headaches from frontal lobe tumors may be dull or throbbing, and they worsen over time. They are often most severe in the morning, and get worse with changes in position, coughing or straining. They may be accompanied by nausea or vomiting. Seizures -- episodes of abnormal electrical activity in the brain -- are the initial symptom of frontal lobe tumors in some people. Different types of seizures may occur. Because the frontal lobe controls movement on the opposite side of the body, a seizure confined to this area typically causes an arm or leg on the opposite side to twitch. This is called a focal motor seizure. If the abnormal activity becomes widespread, a grand mal seizure can occur, which is characterized by movement on both sides of the body and loss of consciousness. The frontal lobe serves many important functions. Depending on the tumor's size and location, its effects will vary. If the area representing movement is affected, there may be weakness on the opposite side. There may be changes in speech and sense of smell. The frontal lobe plays a vital role in thinking, judgment, planning and emotions. When these are affected, aspects of a person's personality may change. He may become apathetic, lose inhibition or have unstable moods. Because of emotional symptoms, some people are misdiagnosed with psychiatric disorders before the tumor is found. Problems with thinking, including memory, can range from mild to severe. When severe, this may be misdiagnosed as dementia. 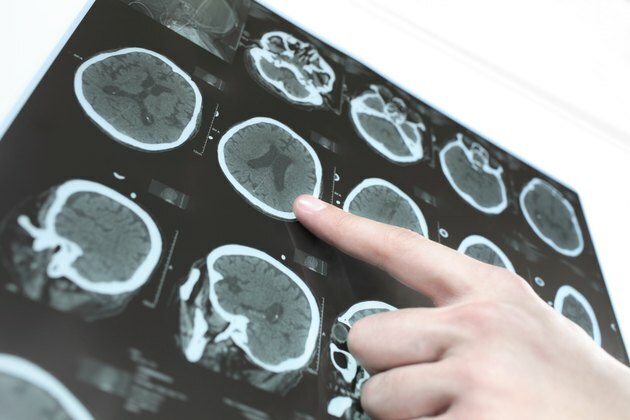 Frontal lobe tumors can cause increased intracranial pressure -- pressure within the skull. Space inside the skull is limited, so any increase in contents within the skull will increase the pressure. As a tumor grows, it takes up space, which eventually increases the intracranial pressure. A large tumor may also block the flow of fluid that circulates around the brain, causing excessive fluid to accumulate within the skull. In addition to headaches, increased pressure within the head can produce nausea, vomiting, lethargy, double or blurred vision and trouble with balance or walking. Seek emergency medical attention if you have a headache with nausea, vomiting, double vision, lethargy, or balance or movement problems. New-onset seizures likewise require immediate medical care. See your doctor if you experience headaches that are worsening, especially if they are worse in the morning or while coughing or straining, or if you have symptoms of changes in brain function. Neurology in Clinical Practice: The Neurological Disorders, Volume 2; Walter George Bradley et al.